The process to using buffing blocks is fairly simple, though there are different kinds with different types of finishes/sides that you can find. I couldn't actually tell if the two sides of these blocks were any different from each other, but if they were I'd say the side that has Julep printed on it was a wee bit rougher than the back. But it's close. Either way, when using a block (if they aren't marked for the order to use the sides in) you generally go roughest to smoothest. 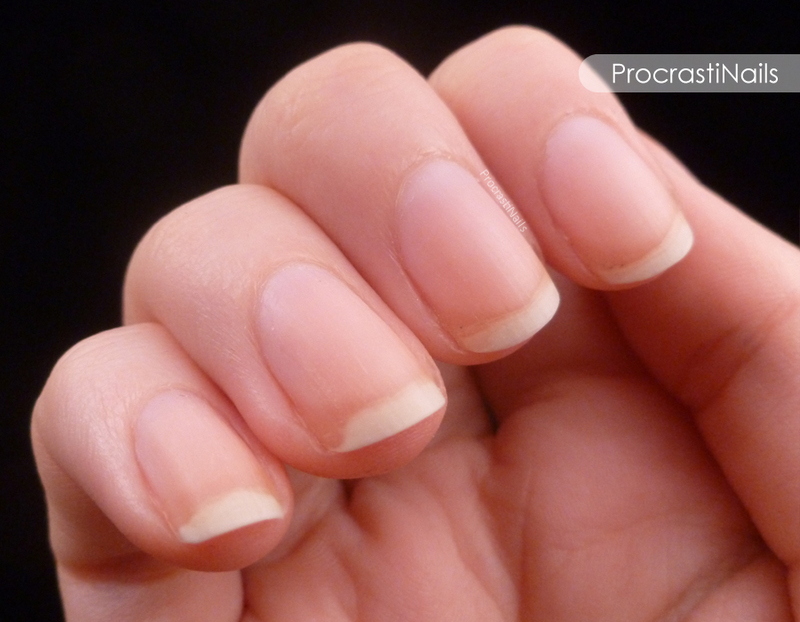 What you're doing is smoothing out and tidying up the nail, basically. Getting rid of ridges and bumps. I've also heard buffing can stimulate nail growth, but you have to make sure not to do it too roughly or too often or you can harm the nails. 1) Take all remaining polish off of your nails and make sure they're clean from any goop. 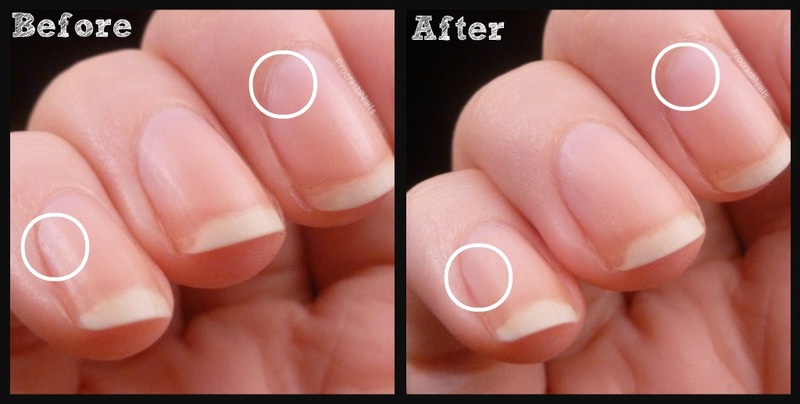 2) Give your cuticles some care - cuticle softener/pushing/clean-up. Make sure to wash any softener residue off. 3) Give your nails a few brushes with the block, no more than 10 seconds but I only did a handful of strokes on each nail. 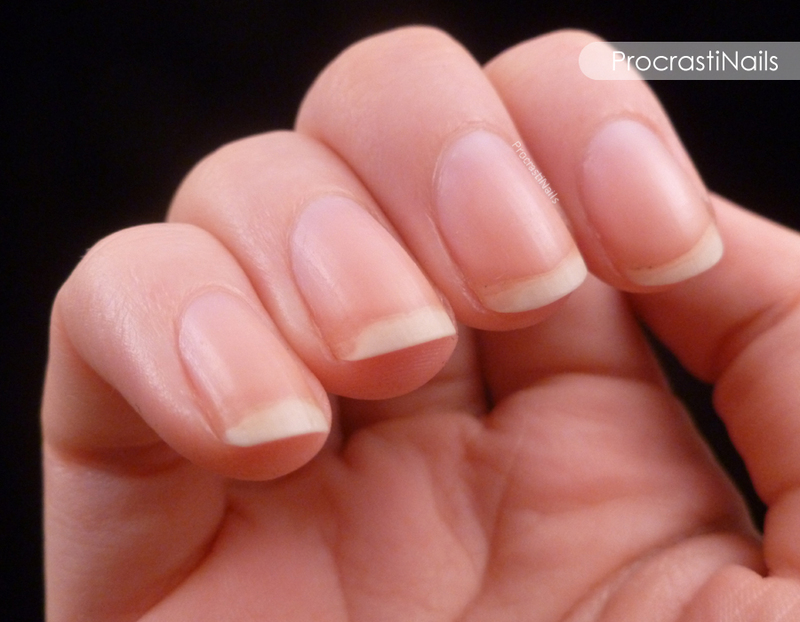 Stop if your nails start to get hot, that means you're doing it too much! When it comes to which way to buff I've heard mixed reviews... Some people say to buff up towards the cuticle, some say to buff across in an X shape, some say to buff in a line across all your nails... I'd say just find what works for you and don't overdo it. 4) Run the block along the edge of your nail to smooth it off. Here's a side-by-side look for comparison... I circled a few places where I noticed a difference. And that's that! Basically this block is good for cleaning up any major ridges or imperfections in your nails, but that's about it. I REALLY wish it had a smoother polishing side, so I could have made my nails all shiny and pretty. At first I thought I could use the edges of the block for this, but they seem to just be foam. I've been meaning to pick up a buffing block for a while, so this box was really timely for me. :) I think this is a neat idea for a free gift though, so even though this is kind of a one-trick pony I'd say I'm content with the product. 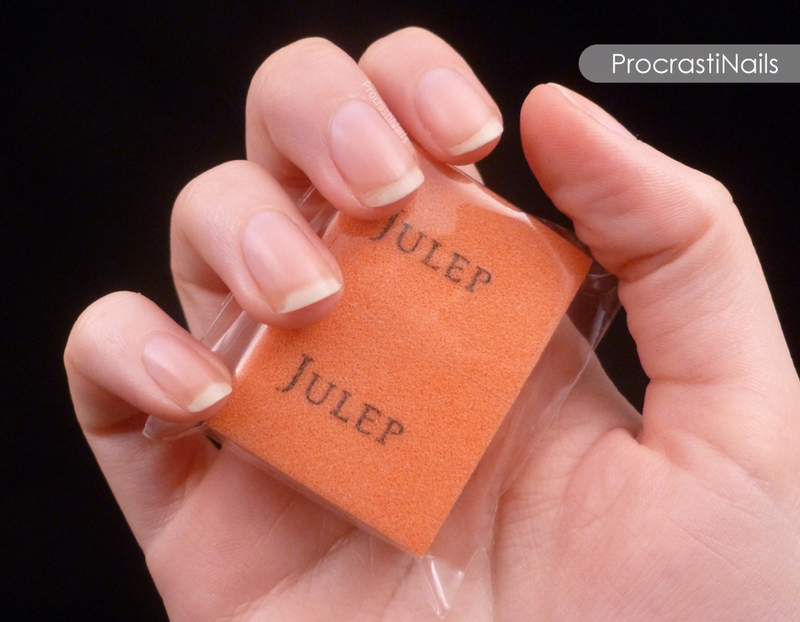 Let's see if Julep gets around to making a full-size/multi-finish buffing block in the future. Fingers crossed! They're just mini sanding blocks. If you search online you can get 25 for $3.00 or they're 19 cents a piece at Sally Beauty. They're a product that's meant to be used once and thrown away for hygienic purposes.